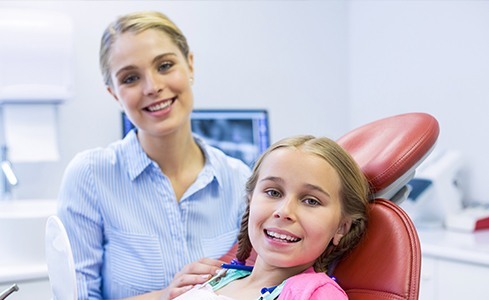 When preparing for a pediatric appointment, Dr. Ng and the rest of our dentists understand that parents want to feel well-informed and confident regarding what’s to come. Below, we’ve provided detailed information regarding the steps we’ll take during your son or daughter’s visit so that every priority and goal is clear ahead of time. Do you have any questions or concerns? Don’t hesitate to contact LIC Dental Associates and discuss the matter directly with a team member – we’re here to help. Helping Parents Help their Children Enjoy Great Oral Health... for Life! We will also thoroughly examine your child's mouth in the knee-to-knee position. You and the dentist sit on chairs facing each other. Your child sits on your lap, facing you. You then lay your child back with his or her head in the dentist's lap. In this position, both you and dentist can see clearly into your child's mouth and your child can look up at you. 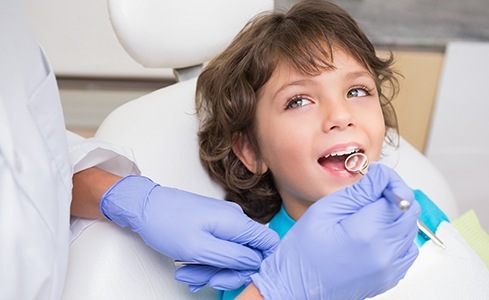 Dr. Ng or the hygienist may also clean your child's teeth and also apply fluoride, particularly if your child has a higher than average risk of developing cavities. You should have your questions answered. 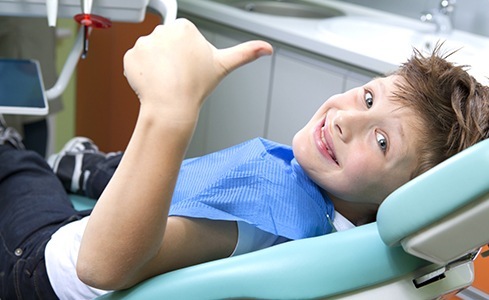 You also should know what you and Dr. Ng can do together to make sure your child has excellent oral health.